The Twittersphere was aghast about the hefty $29 and $39 price tags Apple is placing on adapters to connect the iPhone 5 to old docks, alarm clock radios and speaker systems. "What a rip off!" said @chrisoldroyd. "It's time to gouge our customers for a ton more money," Disqus commenter dawsg4ever quipped. It's an absurdly high price to charge, but making matters even worse, those expensive adapters don't support video or a feature called "iPod Out." That means if you buy a $29 adapter so you can plug your iPhone 5 into your speaker dock, you won't be able to control your iPod through the dock. Apple (AAPL) said nothing about that lack of functionality in its presentation on Wednesday. But in its description of both the $29 and $39 adapters on its online store, Apple clearly says "Video and iPod Out not supported." The old 30-pin connector that Apple had been using on all iPods, iPads and iPhones since 2003 was able to send an analog signal out, which many cars, docks and other gadgets picked up to control the iPod and play music through their speakers. The new eight-prong Lightning adapter is all digital, converting the analog signal to digital (see correction below). Some older speaker docks and cars will still be able to play music from an iPhone 5. But users won't be able to control their playlists through their car stereos or remote controls. So what's the point of the adapter? Apple says that its "intelligent adapter" will allow customers to connect the iPhone 5 to "many of your 30-pin accessories." Most angry commenters were upset about the price, but a few caught on to the lack of video and iPod Out support. Said @misterfrosty, "So won't work with docs? Utter madness!" The new Lightning connector is 80% smaller than Apple's old one, a feat that helped Apple make the iPhone 5 the thinnest iPhone yet. Some took to Twitter to put the Lightning snafu into perspective. "I don't think the iPhone 5 is disappointing, I just think people expected it to shoot unicorns out of its lightning connector," said @NasriAtallah. Correction: An earlier version of this story incorrectly stated that the Lightning adapter would not support audio out. 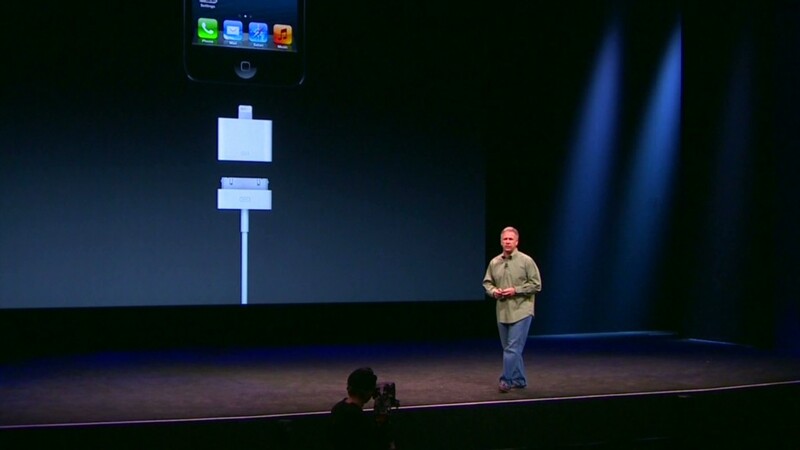 The adapter will not support iPod controls, but will support audio.